TUESDAY, Feb. 13, 2018 (HealthDay News) — For young people with autism, the leap to adulthood can feel like jumping off a cliff, but researchers may be zeroing in on a safety net. In a small study, young adults who had one of two psychotherapies were better able to deal with the thinking, flexibility and social awareness challenges of autism. They were also more employable as a result, because those issues can often hold adults with autism back, particularly in the workplace. A larger, follow-up study is in the works. Lead researcher Shaun Eack hopes it will confirm the initial findings, a key to popularizing the therapies and getting insurers to pay for them. Help for adults with autism is hard to come by, he noted. “The field of autism has forgotten about adults until recently,” said Eack, a professor of social work and psychiatry at the University of Pittsburgh. “Autism is a ‘childhood disorder’ — it’s recognized in childhood, and the best opportunities for intervention are in childhood. … We’ve forgotten that they will spend most of their lives as adults and still have autism and need supports,” he said. In search of such supports, Eack and his university colleagues tested two treatments — cognitive enhancement therapy (CET) and enriched supportive therapy (EST). Both paid off, but the gains were quicker and more dramatic with CET, the study found. Fifty-four men and women, average age early 20s, were randomly assigned to one treatment or the other for 18 months. All participants were on the higher end of the autism spectrum, meaning they have average or above-average intelligence and communicate in full sentences. CET aims to improve thinking and social understanding. EST focuses on stress management. Study participants receiving CET had three hours of therapy a week. They paired up for computer exercises to improve their attention, memory and problem-solving skills. Then, they worked in small groups focused on helping them understand others and social situations. They also had individual therapy. Those in EST spent an hour a week learning to recognize the things that stress them out, and how to manage stress and cope with everyday problems. After nine months, those in the CET group were more socially savvy and significantly more likely to have jobs, the study found. After 18 months, they also were able to focus and think more quickly, attributes that made them more attractive job candidates. Those treated with EST also made social gains, but they took almost twice as long to achieve those gains. That’s probably because the therapy was less intensive, Eack said. It did a better job than CET at helping participants understand their emotions. “We think both approaches can be complementary, integrative and helpful,” he said. More study is needed to learn who might benefit most from each one. Such therapies would be welcomed, said one parent of an adolescent with autism. Renee Zlotnicki hopes her 14-year-old daughter, Nicole, will have an easier launch into adulthood. She’s had constant support since her diagnosis at about 20 months of age. Now a high school freshman, the North Carolina teen takes honors classes and dreams of a career as a singer or dietitian, but her mother says she “still doesn’t get social cues” or have any close friends. Mark Klinger, director of research with the TEACCH Autism Program at the University of North Carolina at Chapel Hill, called the findings encouraging. But he said many questions remain. It’s not clear, for instance, whether the combo of brain training and help with social skills brought about the reported gains for CET or whether one alone did, he said. Klinger added that while nine months of CET therapy appear to be helpful, it is unclear whether more than that is worthwhile. He is eager to see whether a bigger, independent study would confirm the findings. Even if the follow-up study confirms the two therapies are effective, Eack said it’s not likely that either is the only support an adult with autism would need. It is, however, “completely realistic” to expect that the population studied can thrive in the workplace, according to Klinger. TEACCH has 300 adults with autism in its supported work programs, and more than 8 out of 10 placements succeed, he noted. Workers who don’t succeed on the job typically have trouble figuring out how to plan and organize themselves, lack appropriate social skills or are prone to meltdowns when something goes wrong, he said. Eack said his study has gotten some “pushback,” because the interventions are not quick fixes and a number of similar, shorter studies have failed. 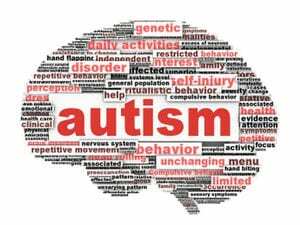 The study was recently published online in the journal Autism Research. Autism Speaks has a quick primer on autism.